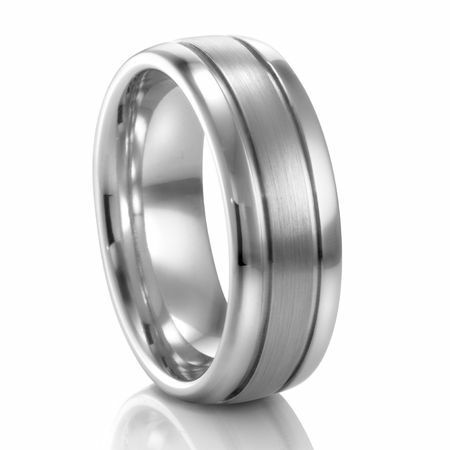 This palladium ring by COGE has a great rounded feel to it. From the comfort fit inside to the nice wide 8mm width to the rounded profile on the top.There are three sections to the top. The center has a satin finish, then there are two grooves. On the outside of the grooves are the high polished sections. Has a masculine look and feel to it. 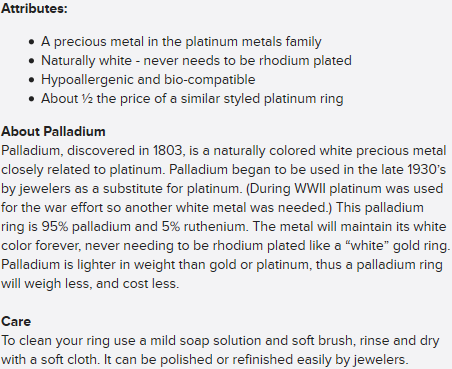 You will love wearing this palladium ring, it just feels good!